New Yoga Program At the Temple. NEW Batch classes will begin soon. 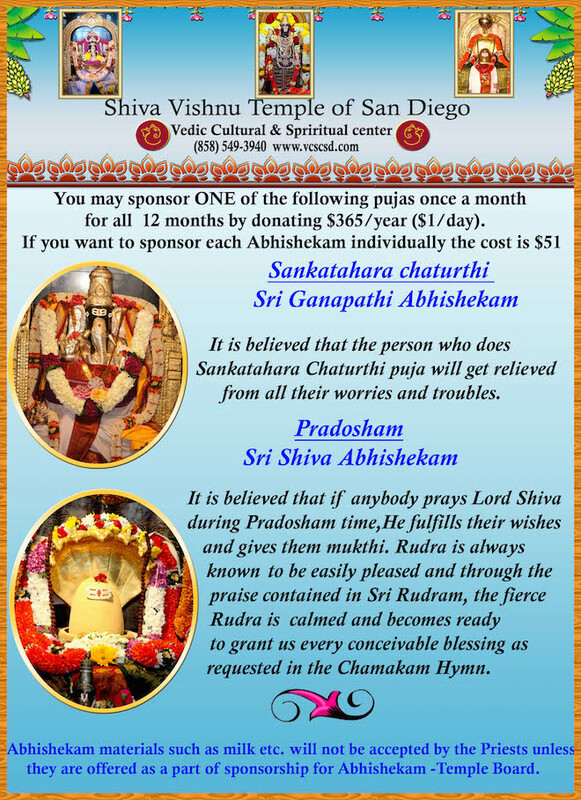 Welcome to Vedic Cultural and Spiritual center of San Diego website. It is a non-profit organization(EIN number: 33-0926154) with 501(c)(3) tax exempt status. This website provides information about all the activities not only happening at the center but also other groups of Indian heritage around San Diego. Click here to support your Shiva Vishnu Temple. When shopping at Amazon, Amazon Smile program donates a portion of what you spend to our temple without any additional cost to you.